Elegant beyond even Barefoot Resort standards, the upscale, gated community of Leather Leaf features extraordinary homes built by Centex. These luxurious 1 and 2 story homes are over 2100 square feet in size and offer 3 or bedrooms, upgraded interiors, formal dining rooms, and professionally landscaped lawns. Adjacent to the Love golf course, these houses have tranquil views of the wooded areas and lakes, as well as the 12th, 13th, or 17th holes. Lots sell for about $200,000 and homes range from $300,000 to $600,000. The neighborhood is only a few miles from the beach and the Intracoastal Waterway. It is a small community, consisting of only 2 quiet streets. Most of the residences are 10 years old or newer. 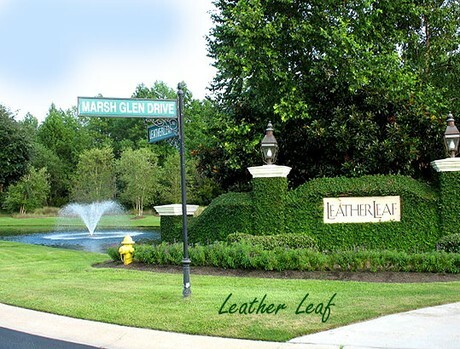 Leather Leaf residents have access to all the great amenities available to all Barefoot Resort communities. Located close to Barefoot Landing and Barefoot Marina, the opportunities for shopping, dining, and entertainment are endless. The oceanfront is a mere 3 ½ miles away. Whether you are looking for a fashionable home near the beach or the perfect place to retire with lots to do, this neighborhood is calling your name. 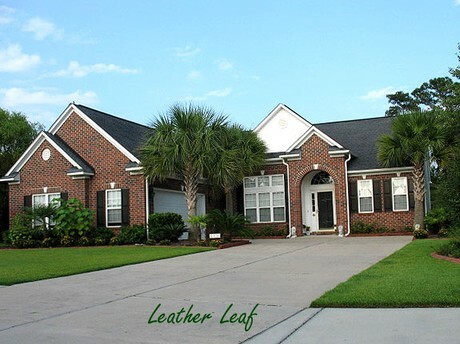 Visit our website to learn more and call our real estate professionals today to schedule a private tour of the Leather Leaf homes for sale in Barefoot Resort.